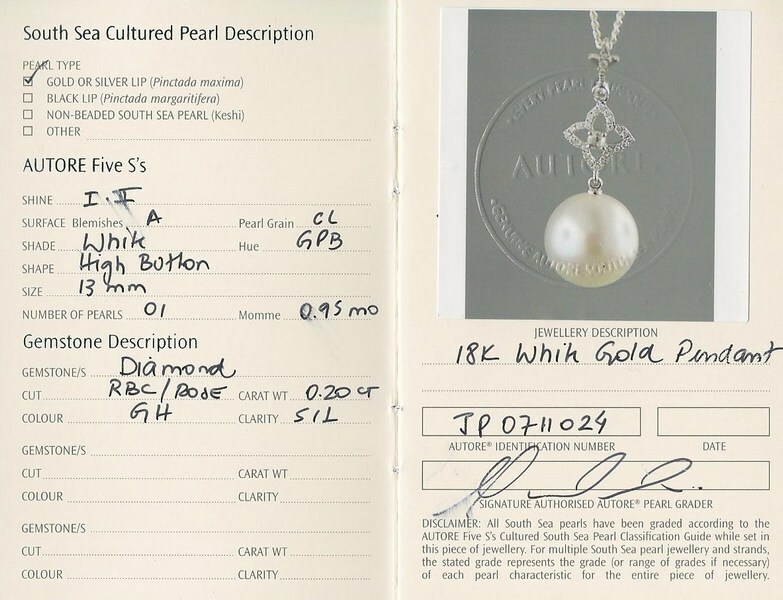 An 18K white gold Autore South Sea pearl and diamond flower pendant. The pearl is a high button shape, 13mm in size and has brilliant lustre with brilliant skin. 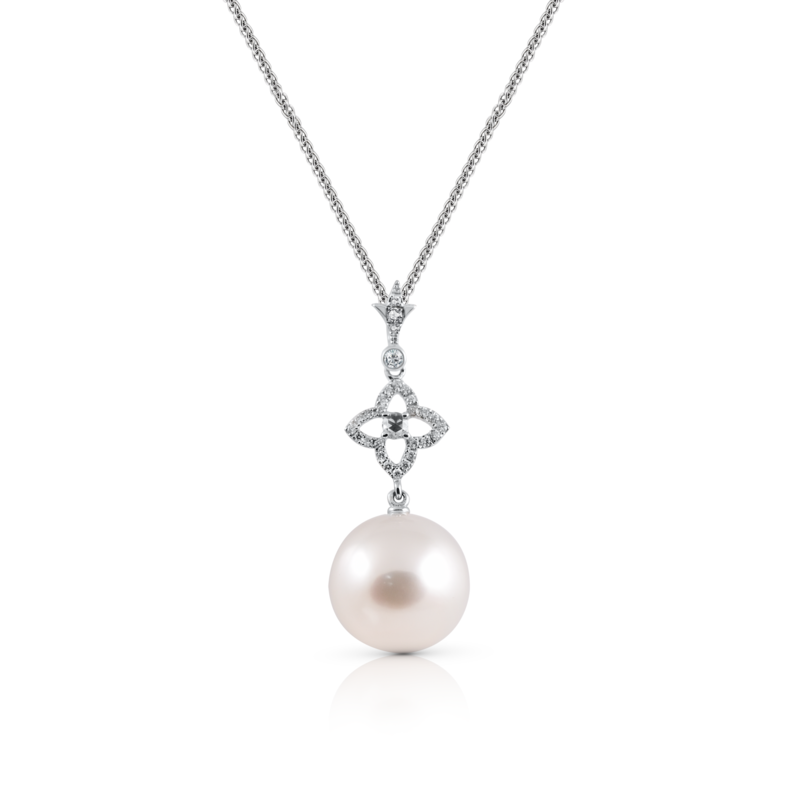 The flower shape drop pendant is set with round brilliant cut diamonds.